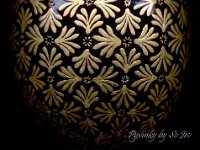 The Chiyogami (Yuzen) series incorporates the beautiful designs found on the handmade Japanese papers. 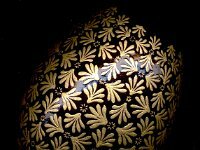 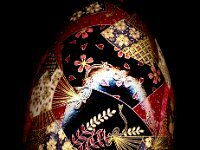 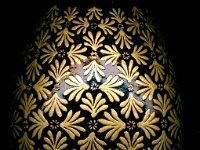 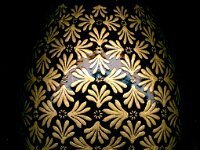 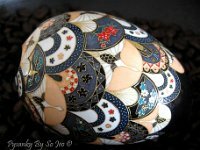 The eggs are made in the traditional batik wax and dye process and also etching technique is incorporated to enhance the design and give it a 3 dimensional feeling. 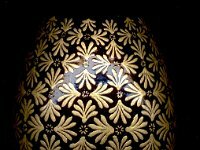 The unetched areas are then gilded with genuine 22 k gold leaf manufactured by August Ruhl of Germany.